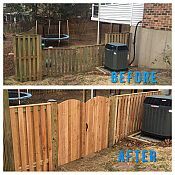 We are the area's experts for new fence installation and existing fence repair for Springfield, Burke, Fairfax Station, Fairfax, Arlington, Falls Church, Alexandria and all of Northern Virginia. 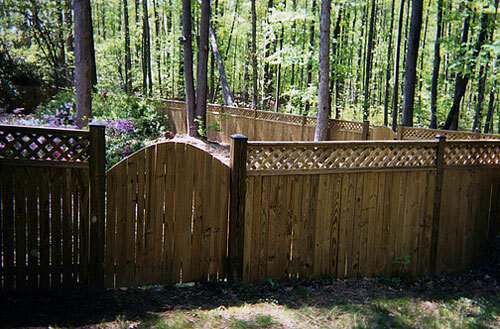 Since 1986, fences have been one of our specialties. Fences, as with anything outdoors, need occasional maintenance, whether they are wood fences, chain link fences, vinyl fences or gates. Certainly with the recent windy Winters a lot of fences and virtually anything outdoors, needs some attention. 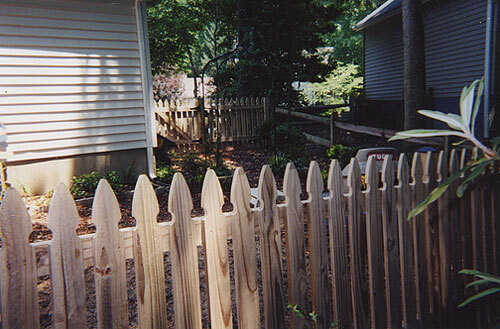 Whether it is gate adjustments, wood fence repair, vinyl fence repair, straightening or replacing posts or boards, or an entire new fence installation we can help you with it. Call for your free estimate and we will give you our opinion if repairs or replacing an entire fence are in your best interest. We will gladly give you an estimate for both! 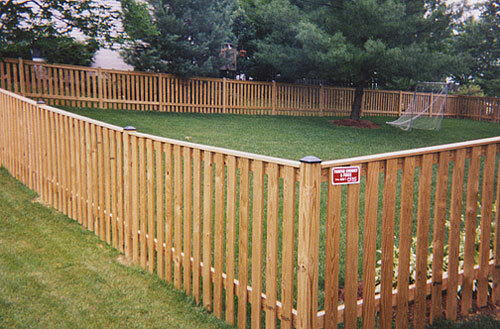 For all your NoVA fencing needs, call (703) 691-FENC (3362).